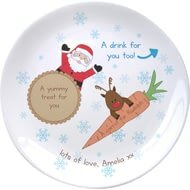 On Christmas Eve you and your little one's can leave special treats for Santa Claus and his Reindeer using this personalised 8” bone china plate. 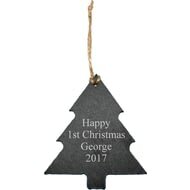 A baby's first Christmas is definitely a landmark to be celebrated. 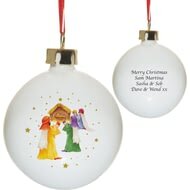 The magic of their first Christmas can always be treasured with this adorable nativity scene bauble. 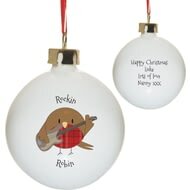 With their initial and your heartfelt message, this robin themed bauble makes the ideal personalised Christmas decoration. 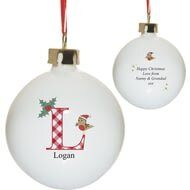 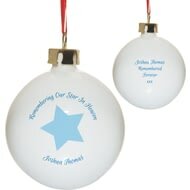 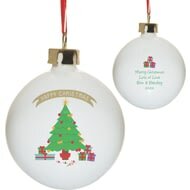 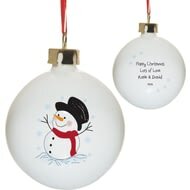 This jolly Snowman bauble can be personalised with a message over 4 lines up to 20 characters per line. 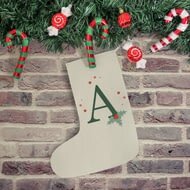 This holly themed stocking is personalised with any initial. 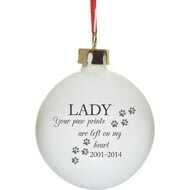 The special life your pet lived can always be treasured at Christmas with this memoral bauble. Simply add their name above the loving sentiment and a short message below. 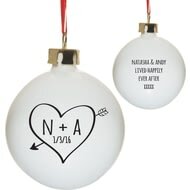 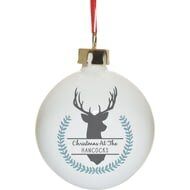 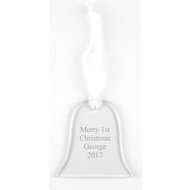 This Christmas Tree shaped bauble can be personalised with a message over 4 lines up to 20 characters per line. 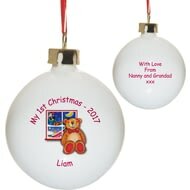 This holly adorned bauble includes a name of your choice within the design on the reverse, making this the perfect way of making sure someone special is included at Christmas. 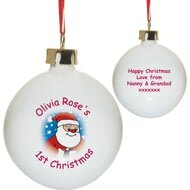 Perfect for a little one on their first ever Christmas, this jolly Santa bauble is personalised with a message from you. 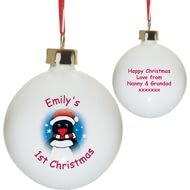 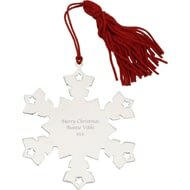 With their initials and your heartfelt message, this tasteful bauble makes the ideal personalised Christmas decoration. The magic of their first Christmas can always be treasured with this adorable Teddy themed bauble. 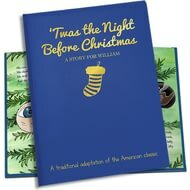 A perfect gift for children who love the magic of Christmas, Clement Clarke Moore's festive poem of a visit from St.
For a special someone who can't be here at Christmas any more. 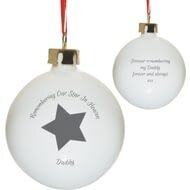 Loved ones should always be remembered at Christmas time, even if they are no longer around to enjoy it. 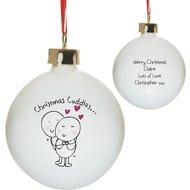 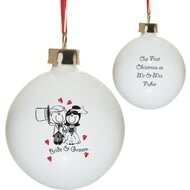 The magic of their first Christmas can always be treasured with this adorable Chilli and Bubbles themed bauble. 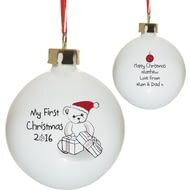 The magic of their first Christmas can always be treasured with this adorable Teddy themed bootie bauble. 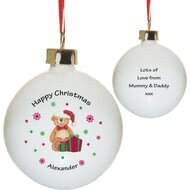 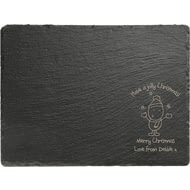 Personalise with a message on the reverse over 4 lines of 20 characters. 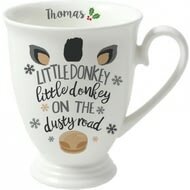 This beautiful fine bone china mug would make the perfect Christmas gift. 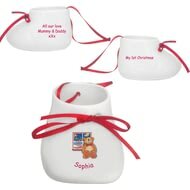 Personalise with a name of up to 15 characters on the inside lip of the mug. 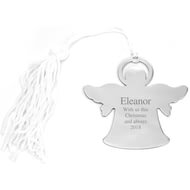 Perfect for a little angel, whatever their age. 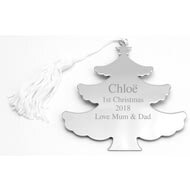 Simply add your chosen personalisation of up to 20 characters inside the chic design. 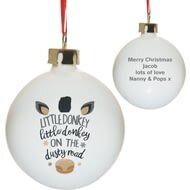 A perfect bauble to give to friends or family. The magic of their Christmas can always be treasured with this adorable Teddy themed bauble. 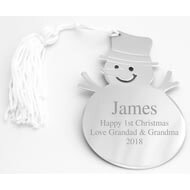 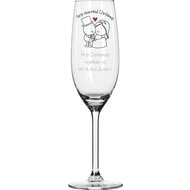 Perfect for the little one that has arrived or to mark a special year. With a cute Santa on the front and a message from you on the back, this bauble will be treasured for many Christmases to come. 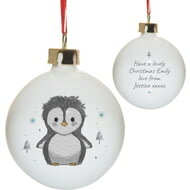 Perfect for a little one, on their first ever Christmas, this fun penguin design bauble is personalised with a message from you.